[SUN PRAIRIE, WI – November 5, 2018] — Sun Prairie Moves, Inc., the cycling advocacy group formerly known as Sun Prairie Bicycling Advocacy Group (SPBAG), announced today that it has obtained 501(c)(3) status in the state of Wisconsin. This designation, which marks the organization as a federal tax-exempt Public Charity, was awarded by the U.S. Internal Revenue Service under the Internal Revenue Code Section 501(c)(3). This is a major milestone for Sun Prairie Moves, Inc., as it allows for donors who support the group to deduct their contributions from their U.S. Federal Income Taxes. 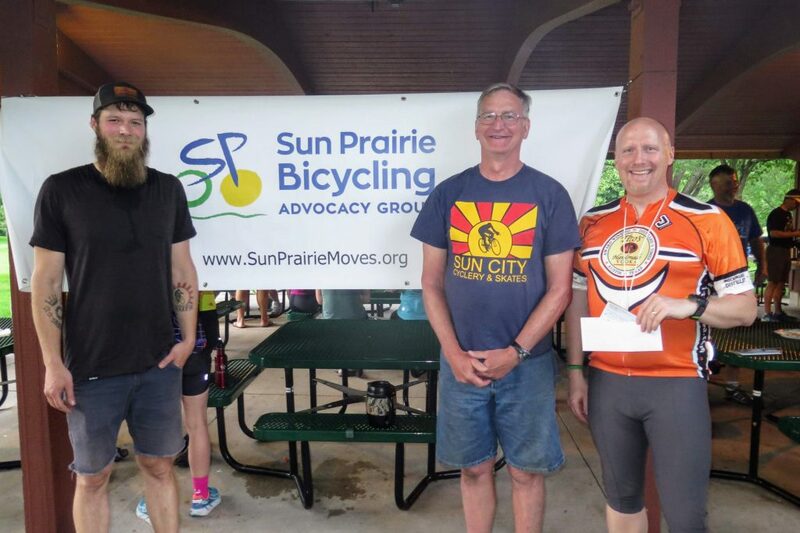 Sun Prairie Moves, Inc., which was founded in 2014, is a grassroots organization of cycling enthusiasts, parents, and interested community members working to improve the bicycling experience for all in Sun Prairie. The organization’s mission is to increase ridership in Sun Prairie year-round through education, encouragement, engineering, enforcement, evaluation, and planning. In 2015, thanks in part to the work of Sun Prairie Moves, Inc., Sun Prairie received an Honorable Mention from the League of American Bicyclists in their assessment of Bicycle Friendly Communities in the United States. Sun Prairie Moves, Inc. relies on the support of volunteers and donations to further their mission. Sun City Cyclery & Skates, at 235 East Main Street in Sun Prairie, recently donated $1000 to the organization. These funds will be used to promote and support local bicycling events, including community group rides, bicycle parking at local events, and the organization’s annual Bikes, Brats, & Brews ride. The organization’s seven-member Board of Directors is optimistic that earning 501(c)(3) non-profit status will have a major impact on the success of current and future projects. These projects include the continued development of single-track mountain bike trails in Sun Prairie and safer cycling routes with increased access to surrounding communities. Sun Prairie Moves, Inc. encourages the participation of community members and welcomes all to attend its upcoming meetings and events. To get involved, donate, or learn more, please visit sunprairiemoves.org. ← What can I do…. ?